QCarbo Easy Cleanser should be used on test day, 1 to 2 hours prior to testing. Simply drink QCarbo, refill with water, and drink again. QCarbo will go to work immediately and you will be ready for testing after an hour. 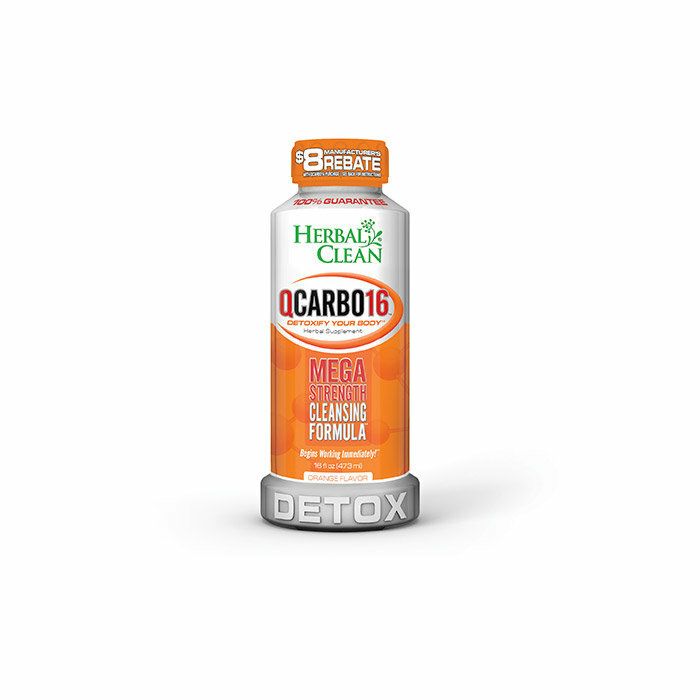 QCarbo is effective and tastes great with 6 flavors to chose from Cran-Apple, Cranberry, Grape, Tropical, Orange, and Strawberry Mango. Be sure to select the product that is right for you. QCarbo Easy Cleanser is designed for lightweight and infrequent users. If you are a heavy user, have used recently, or weigh over 180 pounds a more potent detox solution is appropriate. Consider QCarboPlus with Super Boost Capsules or a complete Detoxification Kit. Remember that urination is an important part of the detox flushing process. When using QCarbo be sure to urinate at least 2 times before submitting your test sample.